FREE Silverstripe CMS Hosting French - HostForLIFE.eu :: How to Manually Install Silverstripe CMS ? Managing the website content has been one of the main challenges to many website developers and managers. It is common to find some content management systems (cms hosting) that are too complex and costly. Though, many thanks to the origin of open-source cms like as silverstripe, creating websites have moved from being a boring job to a thrilling and creative procedure. SilverStripe CMS Hosting is associate degree open supply online page management system utilized by governments, businesses, and non-profit organizations round the world. It is an influential tool for skilled internet development groups, and online page authors rave regarding however straightforward it’s to use. As a platform, SilverStripe CMS is employed to make websites, intranets, and internet applications. The trendy design of SilverStripe CMS permits organizations to stay pace with innovation in the online. SilverStripe CMS Hosting permits websites and applications to contain gorgeous style, nice content, and compelling interactive and social functions. Installation is fairly straightforward, however it is significantly more complex than some other CMS packages like Wordpress or TextPattern. Documentation is provided to walk you through the process. However, installation of this particular CMS is not as obvious, nor as user-friendly, as some of its competition. SilverStripe CMS is a PHP/SQL application and as such you will need to download the installation files from the official SilverStripe CMS website first. After having your SilverStripe-version.tar.gz ( the version number is changing when a new release is available ) file downloaded, please extract it on your local computer. The extracted files should be uploaded under your HostForLIFE.eu ‘s hosting account where you would like to have SilverStripe installed. If you would like to have your SilverStripe CMS directly accessible at http://yourdomain.com you should upload the files under the root directory on your Silverstripe CMS Hosting. On the other hand, if you would like to have it located under a subfolder you may create a subdirectory under your root folder where the files should be uploaded. If you upload your files under /rootfolder/cms/ your Silverstripe installation will be accessible under http://yourdomain.com/cms. 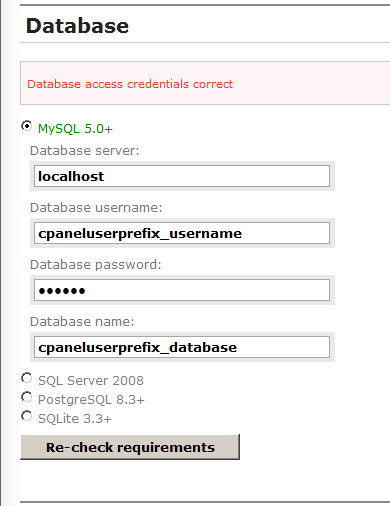 After your files are uploaded under your account you should proceed with your MySQL database creation process. You can easily create a MySQL database for your CMS on Plesk Control Panel. 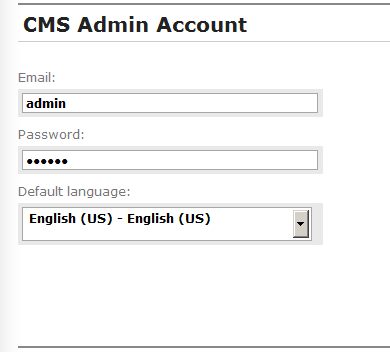 This is the last step which completes the CMS initial setup. You will notice the following error message on the page which will load with the SilverStripe successful installation page. For security reasons you should now delete the install files, unless you are planning to reinstall later (requires admin login, see above). The web server also now only needs write access to the "assets" folder, you can remove write access from all other folders. and this will provide you with the access to the tools available to start building your website with the default CMS style.